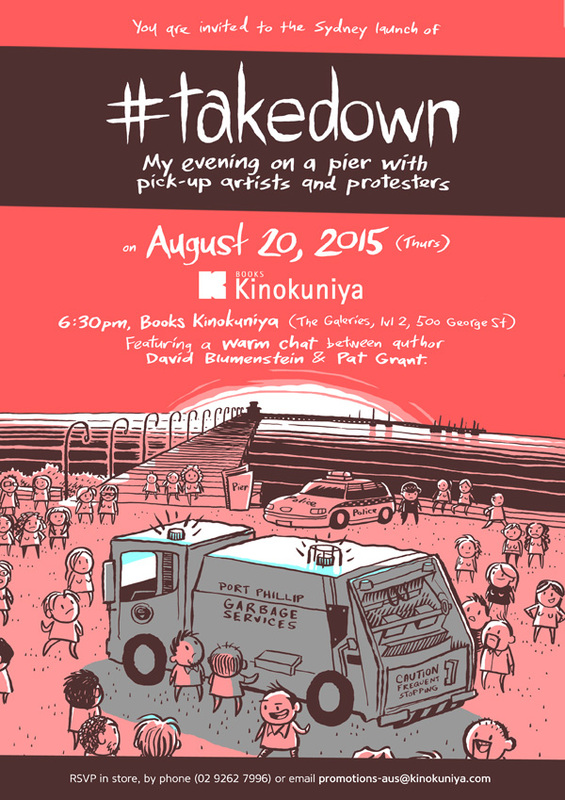 I’m launching my book #takedown at Books Kinokuniya in Sydney! Come along if you can! Kino’s FB event page for it. More importantly, Kino would really love you to RSVP if you’re coming by either phone: 02 9262 7996, email: promotions-aus@kinokuniya.com, or via Eventbrite here. Not only are we launching at my favourite bookshop in Sydney, but I’ll have a chat with one of the best cartoonists in Australia (and one of my favourite guys on Earth), PAT GRANT. We’ll put some kind of audiovisual schnazz on a screen. Who knows what else. We’ll go get beers after. I am also pleased to announce that SENATOR THE HON. GEORGE BRANDIS, QC will be launching the book! 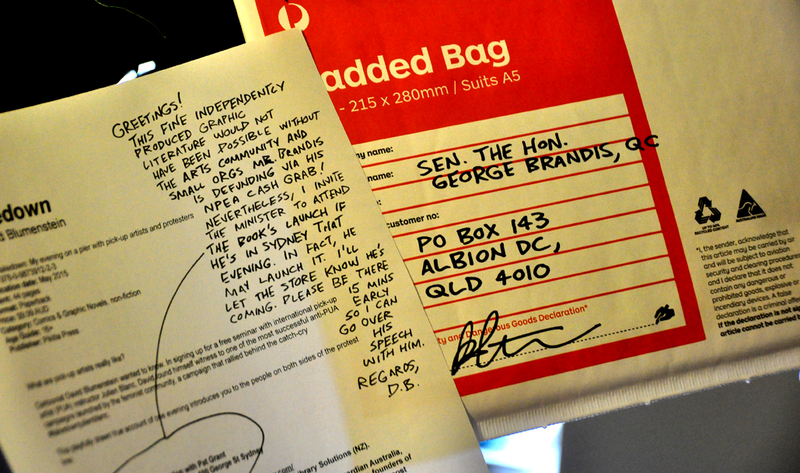 Well, I’ve sent him one and invited him to. I hope all you artists out there have been doing the same! Tristian: What Is Google Deep Dream?